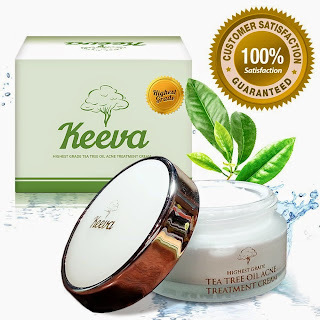 Keeva Tea Tree Oil for Acne Treatment - 100% All Natural Acne Solution Cream to Kill Acne Blemishes, Spots, Remove Acne Scars, Cystic Acne..
100% All Natural Acne Solution Cream to Kill Acne Blemishes, Spots, Scars, Cystic Acne, & Make Your Face Feel Amazing. 100% Satisfaction Guaranteed! Finally, a 1-step Acne Treatment Cream! Tired of Acne Blemishes, Acne Scars or Cystic Acne? Want a Solution that Actually is Proven to Work 100% of the Time and Solve Your Problem? 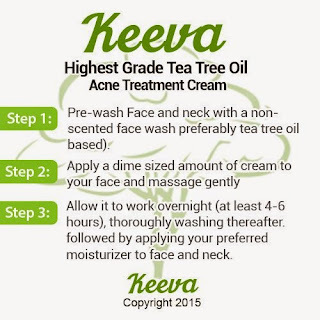 Keeva is a 100% All Natural Acne Cream That is Proven to Work Quickly and Safely with Any Skin Type! 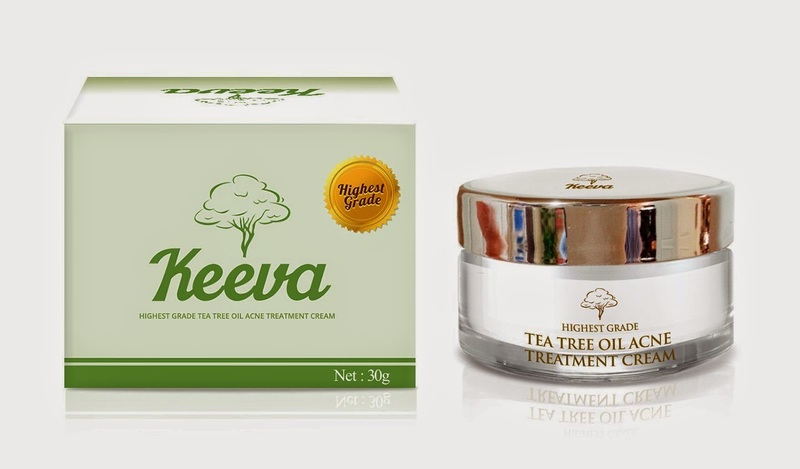 The Top Tea Tree Oil Acne Treatment Cream Available on the Market Today! The root cause of acne is blockage of the sebaceous glands. 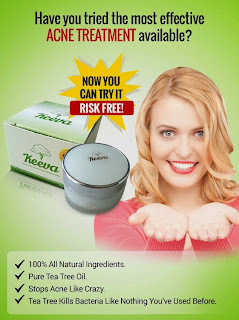 Tea Tree Oil, also known as melaleuca oil, naturally disinfects pores and dries out whiteheads, blackheads, pimples and other blemishes that people have on their face or back. Tea Tree Oil is a secret, ancient herb that was discovered in ancient China over 1,000 years ago! It's only been since recently that people have "re-discovered" it's powerful effects on killing bacteria while leaving your face feel like a new-born baby. ✔ TEA TREE OIL is an essential oil obtained by steam distillation of the leaves of Melaleuca alternifolia, a plant native to Australia (which was originally imported from China where the purest tea tree oil is located and where Keeva gets it's tea tree oil). 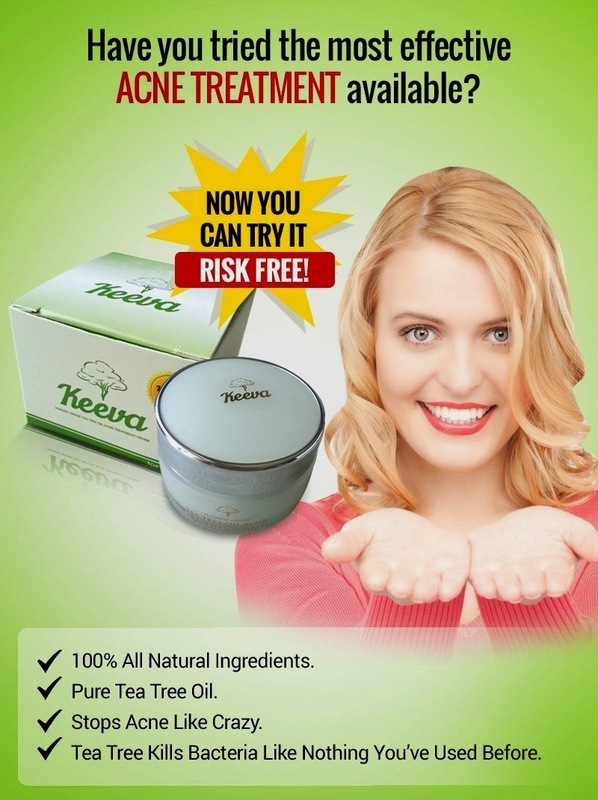 Pure, undiluted tea tree oil is found in health food stores and online. 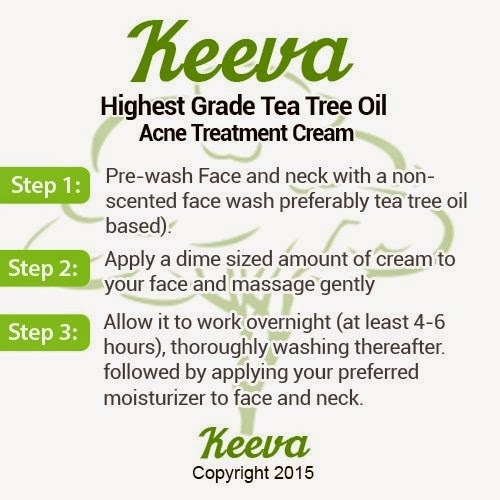 I was happy to get to try the Keeva Tea Tree Oil for Acne Treatment. I really like how this treatment works. I love the disinfecting and drying benefits of this acne cream. I have been washing my face in the evening before I go to bed, patting dry with a towel and then applying a dab of keeva cream all over my face and then when I wake up in the morning, I wash my face again with a mild facial cleanser. I then, apply a light moisturizer with added sunscreen. My skin has been healthy and clean and I will continue to use this cream when necessary. I like how it works on my face. I like how it leaves my skin feeling afterward and I like how easy it is to use. I have made it a part of my routine and it has been working well. I recommend it!